In our lives we do all kinds of (routined) shopping. We shop for food, clothes, electronics, pharmaceuticals and so on. But what if we take one step away from consumerism and wasting and start saving money, maybe invest a little bit more time and make a pitstop at a nearby “refill-store”? 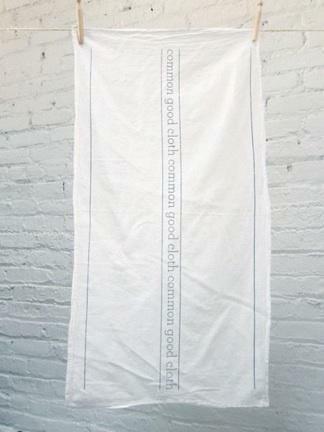 That is exactly what you can do at the recently opened Brooklyn based ‘Common Goods’. 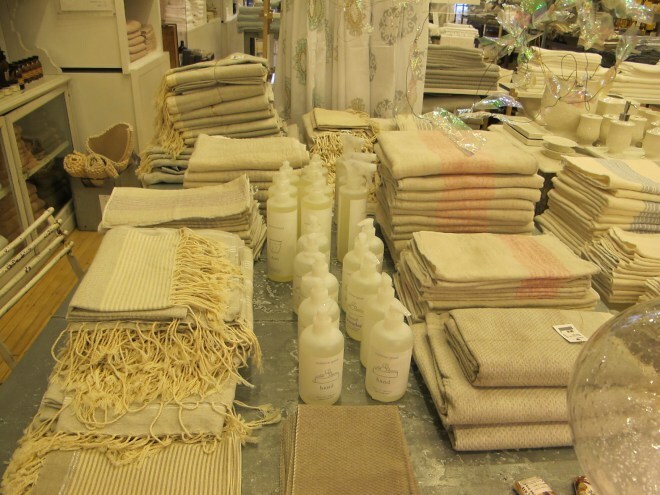 Common Goods specializes in natural cleaning products, such as, dish, hand, and all-purpose soaps that are free of dyes and chemicals. The products are great but the real unique thing about them is that they have refill stations. Founded by Australian-born Sacha Dunn, the mission of Common Good is simple: "We believe in safe, green, hard-working household cleaners and soaps in bottles you can refill." 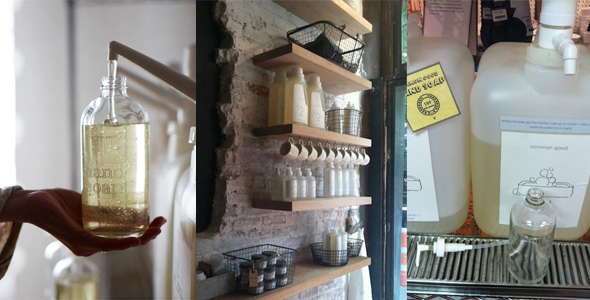 The refill locations seem to be growing all of the time, as CG already collaborated with 12 different stores across New York to set up refill stations that can be filled up with the brand’s dye- and phosphate-free soaps, cleaners and laundry detergents. Many might find this a time-consuming activity, but the challenge should be to encourage and normalize the idea of reusing laundry and soap containers. You buy or bring your own bottle one time and then continue to use the same to refill it. It's inexpensive and think about all the waste we save in bottles and containers... If you can just think one step ahead and take your bottle to the store with you, why not? More innovative future stores could include refill-stations that cover a full range of lifestyle categories including pharmaceuticals, cosmetics, office supplies, lighting.